More than likely, you have been referred to Weber Design Group by a friend or family member who understands the value of experience and excellence in design. 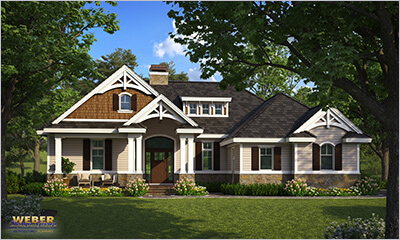 At Weber Design Group we have helped thousands of customers create their dream homes. As a result of this experience, we have developed a series of systems and processes to fluidly carry our customers through a project from inception throughout the design process, and finally to the completion of construction. Our methods are constantly being perfected through collaboration and communication with our customers and design professionals. The keys to a successful project, and ultimately customer satisfaction are listening to and understanding the client’s needs, and executing the design process efficiently. We want the process to be as efficient, fun and exciting as possible for our customers. Programming is one of the most important aspects of the design process. During this phase, we gather vital information about a client’s design objectives, goals, limitations, budget, schedule and other criteria. Many of our clients have spent a significant amount of time researching and gathering information about their dream home prior to visiting our offices. Perhaps you have been collecting materials, pictures and ideas for years, and have a well-defined idea of the qualities your project must possess. That is always very helpful, but often a client does not have a clear vision of the home they want to build, and that is also ok. Our team is uniquely experienced and skilled at distilling ideas from open discussions, and brainstorming with you to bring forth the vision of your future home. We also have an extensive library of design arrangements and photographs for you to draw inspiration from. These resources are very helpful in defining and refining your home’s layout, style and specific elements you might not have known you always wanted. The design team will assist you in creating your program and navigating your way to the next step in the process. During the schematic design phase we will transform the goals and ideas from your now established program into conceptual designs. 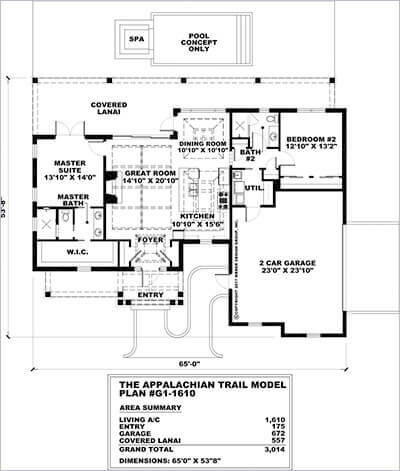 This will include scaled graphical representations and relationships of spaces to one another, and may include several different schemes as we determine the ideal solution for your home. This is also the time when we will gather all the critical information from the local building authorities. We will continue to work with you gathering your input throughout this process to make sure we are including all of your wants and needs as the project evolves. 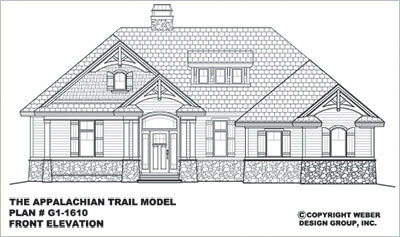 The drawings included in this stage to help illustrate the design intent will include a conceptual site plan, preliminary floor plans and elevations, area calculations, and if needed, a study model. Once we have settled on the ideal solution for your home, we will move into Design Development. During this stage we will refine the design and more fully describe all aspects including building materials, structural, mechanical, and electrical systems and various other elements. We will begin to work closely with consultant engineers to assure all the structural, mechanical and electrical systems are coordinated and follow the design intent. The drawings created during this stage will include more detailed versions of the site plan, floor plans and elevations, updated area calculations, building sections, typical construction details and equipment locations. Once we enter the Construction Document phase, the design has been mostly finalized and coordinated. This phase will focus on defining in greater detail every aspect of your home. When the construction documents are complete you will have a detailed set of drawings that illustrate the assemblies needed to complete a successful project. The drawings provided will include all that is required by the local building authorities in order to apply for building permits, and will assist the builder with the construction of the project. Many of our clients choose to retain our services beyond the design and documentation stage on into Contract Administration. 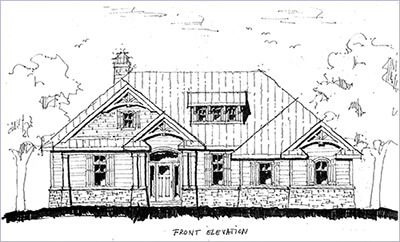 During the construction of your home we would act as administrator of the contract between Owner and Contractor. This would include evaluations of the work through site visits at intervals appropriate to the stage of construction and becoming generally familiar with the progress and quality of work being performed. 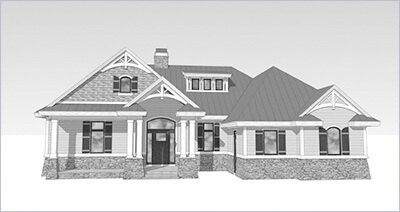 We would also review shop drawing submittals from the contractor and ensure that the home is being built as designed and to the quality level described in the Construction Documents. 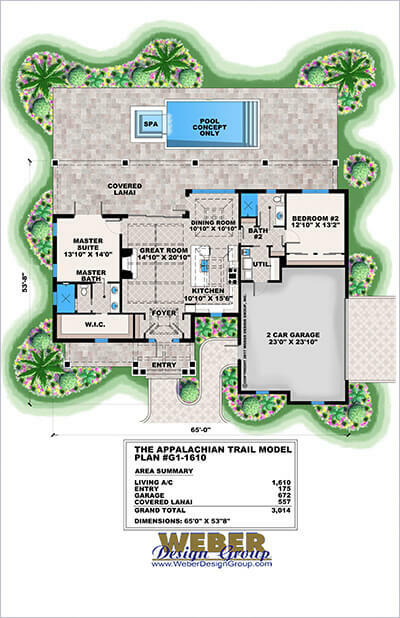 Each project has unique requirements, and some of the visual tools represented in the above graphics may not be necessary for your project as proposed. Please refer to your proposal for details about the types of visual tools that are included in your project and the associated pricing. 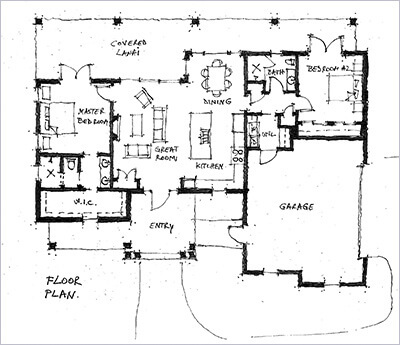 Stock House Plan or Custom Design? Porches, Verandas and Lanais – Oh My!